Jordi Bové studied Pharmacy at the University of Barcelona (Spain). 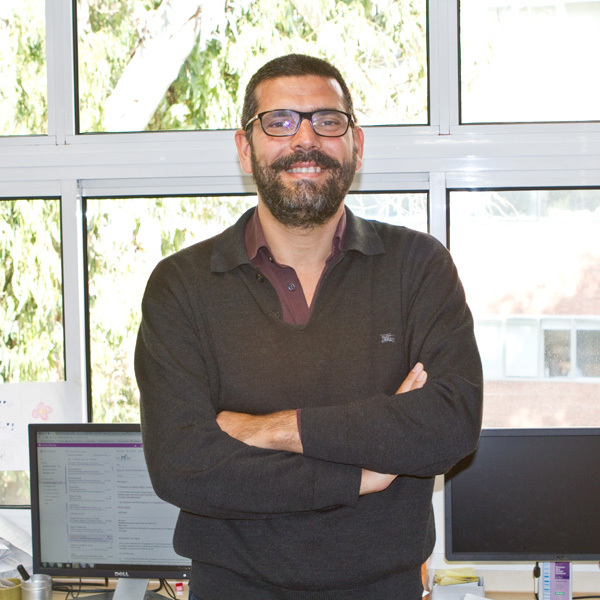 He got his Ph.D. in 2003 at the Institut d’Investigacions Biomèdiques August Pi i Sunyer (IDIBAPS, Barcelona, Spain) working on the mechanism of levodopa-induced motor fluctuations in the 6-OHDA model of Parkinson’s disease, under the supervision of Drs. Concepció Marin and Eduard Tolosa. He later joined the laboratory of Dr. Serge Przedborski at Columbia University (New York, USA) as a post-doctoral reseracher (2003-2005), working on animal modeling and the role of alpha-synuclein in Parkinson’s disease. He joined our lab in January 2006. In 2011, he obtained a position as a Miguel Servet Investigator (Instituto de Salud Carlos III, Spain).